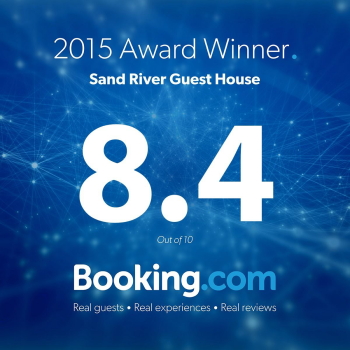 If you like the sound of birds, wind in the trees, and green lawns with a river running by, yet you need to be close to the action, then Sand River Guest House is for you. Conveniently located in the Sandton suburb of Rivonia, Sand River Guest House has easy access to the major highways and is less than 2 minutes from Rivonia Road. What's more, the Rivonia business centre is within walking distance of Sand River Guest House where there is a good selection of banks, hairdressers, supermarkets, shops, excellent restaurants. The award-winning Skin Sense spa is just around the corner. Leaving the tranquillity behind Sandton City, Sandton Convention Centre, Fourways and Monte Casino are all within a 15-minute drive. Sand River Guest House offers all expected modern conveniences including wireless internet access, air-conditioning, honesty bar, conference room and bed & breakfast. Its location provides easy access to the major highways. The Rivonia business centre is within walking distance of the guesthouse and has a wide selection of restaurants, banks, hairdressers, supermarkets and shops. 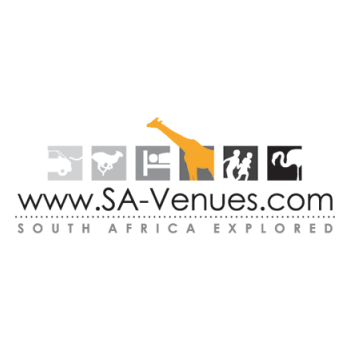 Sandton City, Sandton Convention Centre, Fourways and Monte Casino are all within a 15 minute drive. 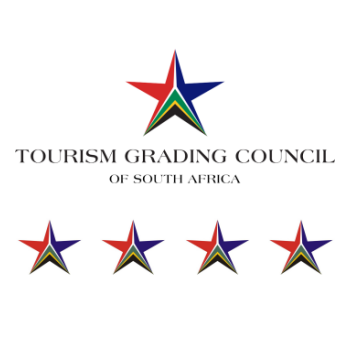 In addition to its tranquil setting, Sand River Guest House and the apartments have 4-Star gradings from the Tourism Grading Council of South Africa and we pride ourselves on maintaining our high standards. We like people, and we go to great lengths to make our guests feel at home. 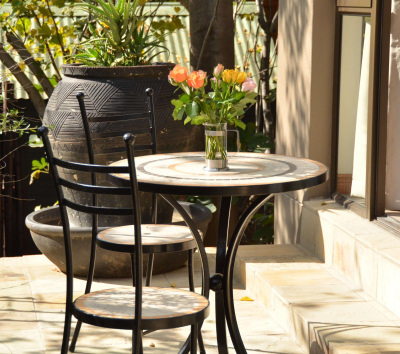 Our rates include bed and breakfast and self-catering guests are welcome to enjoy breakfast at the guesthouse. I really do feel like I am coming to my second home when I come to your Guest House. The team are so special and nothing is ever a problem. I really enjoyed my short stay at Sand River Guest House. The team were extremely helpful and friendly, the rooms were clean and we really appreciated being able to utilise the boardroom for the day. We will be back and sending all our delegates to you in the future. Many thanks to the team. We really enjoyed our stay at Sand River Self Catering Cottage. 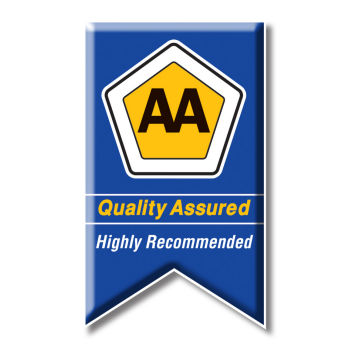 My husband attended a course in Woodmead for a week and I only joined him for two nights but was pleasantly surprised with the accommodation - clean, everything that one may need = excellent 5* service.